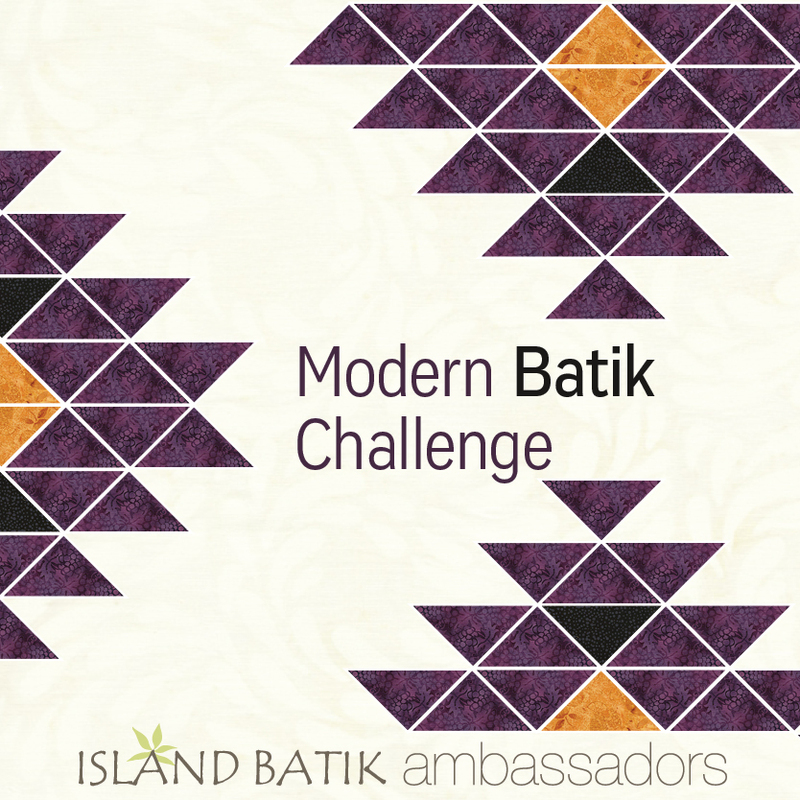 I do love the monthly challenges, that "Island Batik" puts the ambassadors up to. 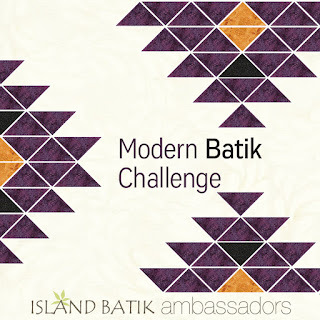 "Modern" challenges, for me are the toughest of all. Whew, that's a tall order for this applique junkie and a traditional piecing quilter. What to do? What to do? When in doubt, "Google" it, or check out "Pinterest", right? Google images, won out this year. What better name for this bright and cherry...I mean cheery piece. Best yet, I'm pretty sure it includes at least a couple of the requirements. Giving credit where credit is due. When I found this image on "Google"
"Contemporary Quilting" 5 Tips for using negative space"
The particular photo was uploaded from member "PaWo". I even tried to incorporate some of "PaWo's" incredible quilting into my piece. I've got a long way to go, but it was nice to break out of my "box", all the way around. as I like to think of them. This gave it some fabulous dimension, but with the good, comes the bad. Hind sight, is always 20/20. With that great texture comes shrinking. It must be that science thing...what goes up, shrinks up! It took a lot of stream and blocking to get this guy to lay flat and almost square. Who knew? Oh... that would be me now! I know, the quilt police would have a hay day picking that apart! And I'm guessing that if I took the class at "Craftsy", I might have learned that! Regardless, it stretched my imagination, and allowed for practicing new quilting techniques, all while getting to work with the best fabric around. What a beautiful quilt! I love your quilting! Wow Joan, that is beautiful! Totally fun!! I adore modern quilting especially since the quilting part is my favorite to do!!! What size did this cheery quilt end up at? I need to make one like this! it looks great! such a fun and modern quilt! A great modern quilt! Wonderful quilting! A really great project and definitely offers a lot of really cool dimension. The piano keys :) really lift the quilt and bring out the quilting in what I can only say as a totally cool project. This is one of your best, I really love it. Wow, that is a tricky one to do with those guidelines - but you did it!!!! I love your interpretation and the resulting quilt. Well done again, Joan!! You are a whiz! !